so I'm looking to get some ideas on how to tackle this problem. the car is an R32 GTR that will see some track days. I have already run the 1 AWG wires from the engine bay where they connect to the respective +plus+ and -Minus- terminals in the engine bay.... now the wires sit inside the trunk not connected to anything. how the heck have those who've done this before done it?!!! i have some ideas in my head but i want to hear from everyone else first... collaboration leads to the best results always. 1) there must be a fuse (200 Amp) - i'll install one 6 inches from the terminal, no issue here. now i) and ii) are easy since they can be done in the back easily enough.. but how do i handle the alternator? or can anyone point out an easier way to handle all this? Re: Battery relocation + Racing Rules + Cutoff? Breaker? Master cutoff switch is mandatory when battery is relocated. An electrical power cutoff switch (only one) must be installed in the REARMOST part of each vehicle and be easily accessible from the outside of the car body. The cutoff switch must be connected to the POSITIVE side of the electrical system and must stop all electrical functions. The off position must be clearly indicated with the word OFF. If the switch is push/pull type, push must be the action of shutting off the electrical system, pull to turn on. Any rods or cables used to activate the switch must be minimum 1/8 inch diameter. Plastic or keyed switches prohibited. BATTERIES: All wet-cell batteries must not be relocated into the driver or passenger compartments and must be securely mounted. A maximum of two (2) automobile batteries are permitted of 150 Ibs. combined maximum weight. Plastic battery holddown straps are not permitted. All relocated batteries must be secured with a minimum of 2 3/8 diameter bolts or rods. When relocated to the rear of vehicle, the passenger compartment must be protected by a “firewall” consisting of a minimum of .024 steel or .032 aluminum. The switch must be connected to the positive side of the electrical system and when de-activated shut off all electrical functions in the vehicle. External cutoff at the rear of the vehicle on the positive terminal, battery in NHRA approved box with proper hardware and a non-plastic strap. It notes it must stop all electrical functions, so wiring the switch to the main 1 gauge wire that will run up front will be fine. It seems the fuse choice is up to you. If the cutoff switch kills the positive terminal at the rear of the car, it will kill everything up front...fuel pump/alt etcetc no? So I wouldn't worry about wiring separate to the switch. I didn't copy all the rulebook but that is what I figure from it. Hope this makes sense...we already had a multi page thread on this but not NHRA/IHRA rule oriented. You need to isolate the alternator from the battery and the battery+alt from the electrical system. You cant switch the negative and be NHRA Legal. Has to be in the positive. So like a 250 amp continuous switch? but i really dont understand your drawing? to me that says from the battery you have the main 1 AWG wire going through the cut-off switch and to all the powered stuff. 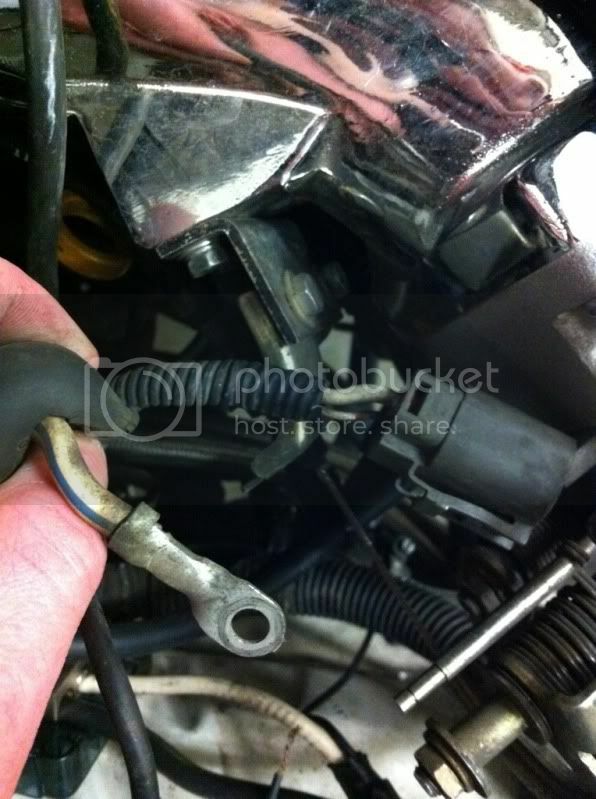 shouldn't it be the wire from the alternator that goes to the cut-off as well? sorry i just don't see it on that diagram. Last edited by archaeic_bloke; 04-06-2010 at 08:14 PM. That is the most simplistic way of going about this. You need two runs of power wire, one going from the alt to the battery for charging, and one running from the battery through the cut off to the vehicles electronics/fuse panels. This way your alternator is cut at the same time as the battery creating a 100% cut. Have to bump this, have a question. Anyone who has done this, did you run a wire straight from the alt to the battery and that was it? I notice the alternator in its factory wiring plugs into the fusebox and goes through the 75A main fuse and goes to whoknows where. I was going to trace out some diagrams after I post this. But will I run into problems not having the alternator plugged into the fusebox going through the main fuse? I'm confused. Below is the diagram of how I'm doing it. 1G main supply, 4G alternator. I'll also have a 125A breaker before the cutoff. Another good question, does the rb alternator need a signal wire or is it self sensing of load. I wanted to add my own experience and information to this. I relocated mine and made it 100% track legal and learned a few things this thread never covered. First off is the alternator "sense" wire. I had a few issues with getting 14.3-14.7V when the car was running at first but quickly found out it needs to be located where your distribution block is so the alternator will account for the voltage drop in the system. 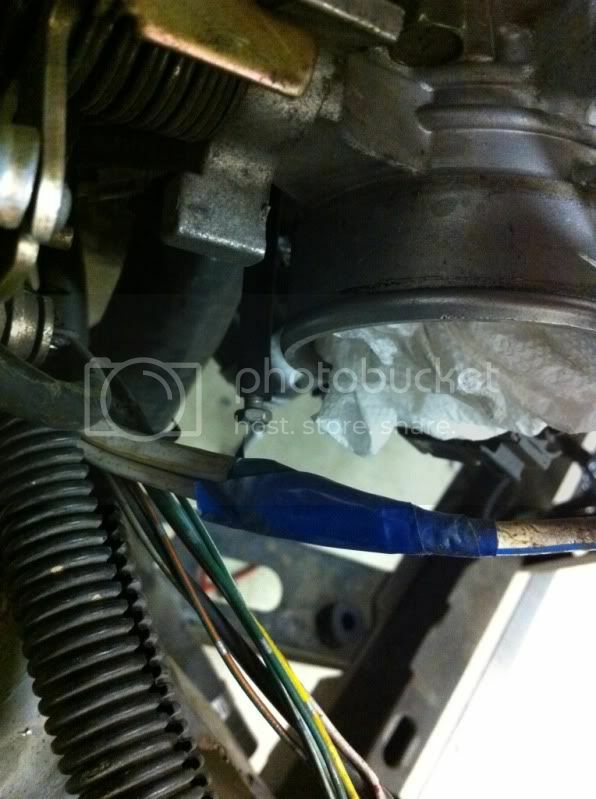 The alternator has a two pin plug on it and the white wire (approx 12 gauge) is the sense wire. It is hooked up to the alternator output a short distance away from the alternator and this works just fine in stock configuration, but needs to be changed for a relocation. Here is what I found once I de-loomed my lower harness. The thick white/blue stripe wire is the alt output and the white wire on the two pin plug is the sense wire. 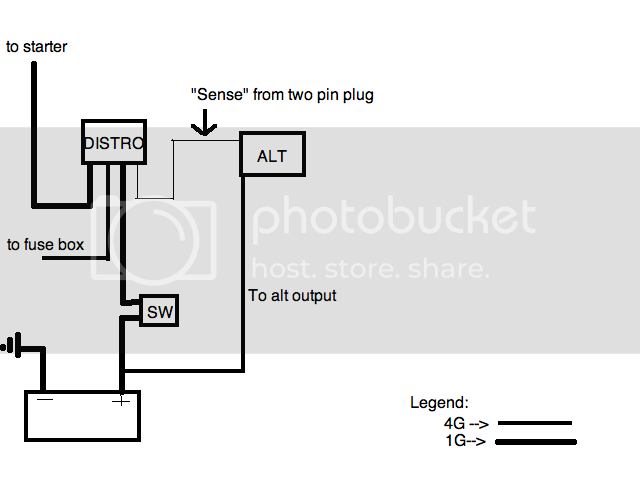 Notice how the sense wire joins up with the output only a short distance away. 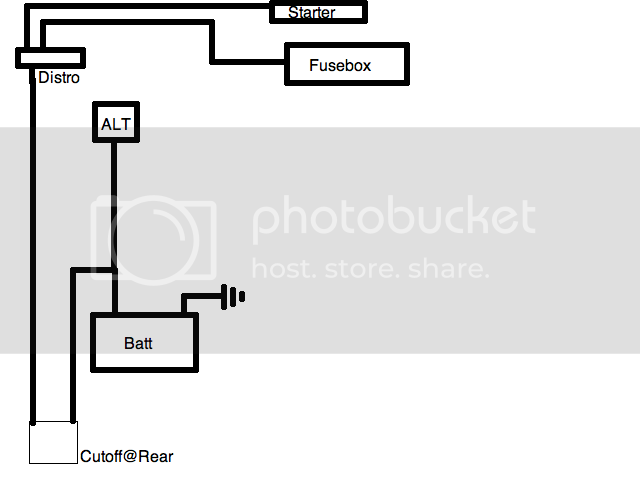 I don't know if this helps but I installed a 150 amp circuit breaker next to the battery box in the trunk. You push the button and power is killed. If you would like pics let me know.